There are many colors of mold (or mould, if you prefer) that exist in the world today. Let say like Orange Mold, Black Mold, Yellow Mold, Brown Mold, and also pink mold. Most tend to be a greenish or bluish hue. You can find mold growing anywhere that is damp and somewhat dark because mold is a fungus. Some fungi may adopt a single-cell growth habit in these environments, which makes them a yeast at that point. Then there are the colorful molds out there, like the pink mold. Most households will encounter pink mold at some point. This guide will help you recognize pink mold, where you can find it, and what you can do about it if you’ve discovered it. What About Pink Mold on Food? Pink mold is officially known as Serratia marcescens. It likes to grow in places that are damp where it has a chance to consume fatty substances. That is why one of the most common places in the home for pink mold growth is the bathroom. Anywhere moisture has the ability to seep creates the potential for pink mold growth. It may grow on your carpet, cabinets, rugs, and even your wallpaper. What makes it difficult to remove is the fact that it isn’t a traditional mold. It is actually an airborne bacterium. 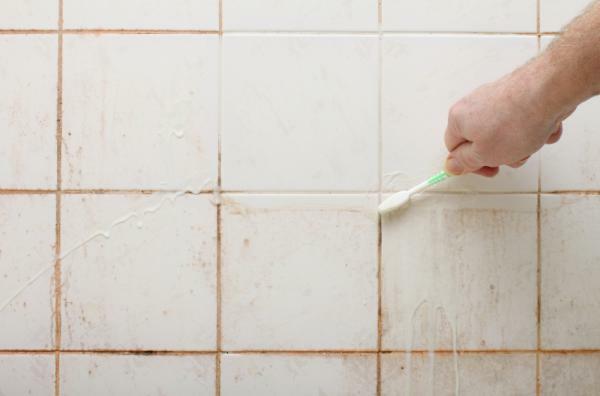 Without proper venting in your bathroom, you might find this pink stuff growing into your shower curtain, tile grout, and tub caulking. It really is that strong. Once it begins to grow, it will not stop unless you remove its food source, change its environment, or kill it. You can also find pink coloration with the yeast-like fungus called Aureobasidium pullulans. To achieve the pink coloration, this fungus must be cultivated using potato dextrose agar. In its early stage, it will appear as a faint pink until chlamydospore production begins. One other fungus, called Fusarium graminearum, can make barley appear to be pink before it is harvested. The mold must cause head blight to occur in the barley, and there must be extreme wetness in the field for this issue to occur. Although all 3 varieties may cause pink coloration, for most households, Serratia marcescensis your culprit for the pink mold that you are seeing. The amount of moisture that is in your bathroom will help to determine how quickly the pink mold will want to grow. 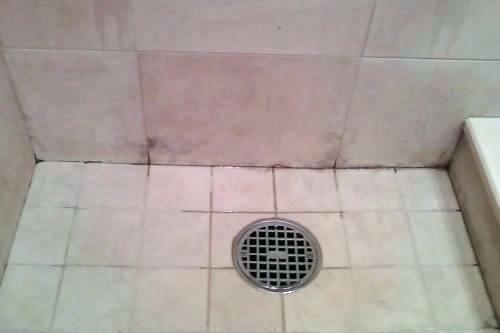 If soap residue levels are high, you will promote faster growth of the pink mold, especially in the shower. Any place that is damp, however, creates the potential for pink mold. If you use a bathmat or rug when stepping out of the shower or tub, you could have pink mold inside it or underneath it if the rug is not permitted to dry. Besides the floor mats or rugs, the one place you’ll want to check for pink mold is your shower curtain. If it grows there and you use a fabric curtain, then the bacteria will get inside the fibers of the cloth over time. Once that occurs, your shower curtain will begin to feel slimy, and it will have a distinctive odor to it. Serratia marcescenshas the ability to grow on food, assuming that the food is being stored in an environment that is damp and dark. It can produce a striking effect when it grows on bread. In the year 1263, during a Mass at Bolsena, a priest from Bohemia was said to have doubts about the Catholic beliefs of transubstantiation. This is the religious belief that the bread and wine taken during communion become the body and blood of Christ. As the story goes, the priest would take off pieces of bread to give to the congregation and it began to bleed. No matter what the priest tried to do to wipe away the red substance, it remained. As he went deeper into the bread, more blood began to appear. Raphael painted a fresco about this event that stands in the Apostolic Palace in the Vatican City. This was likely an incident of pink mold. When it appears on white food products, the color can become a deep red color. Any foods that contain yeast products or dairy fats are likely candidates for pink mold growth. Although humidifiers may use heat to vaporize water, the moist environment is perfect for pink mold. If you look down into the vapor chamber of a humidifier that hasn’t been cleaned in 3-4 weeks, you are almost guaranteed to see pink mold growing there. The issue with pink mold in the humidifier is that many of the symptoms of dry air, such as a sore throat, inflamed nose, and skin changes, can also occur when Serratia marcescensexposure occurs. If the pink mold has started to grow in the humidifier, then you will be releasing more of these bacteria into the air that you breathe. If you purchased a humidifier to relieve dry air symptoms, but they are not going away, then the pink mold may be to blame. In severe incidents, infections from breathing in the “steam” from a humidifier have caused lung inflammation, flu-like symptoms, and high fevers. Even if you do not see pink mold in your humidifier, you may not be out of danger. Many homes use tap water with their humidifiers. The mineral content in tap water will create a white, powdery substance at the bottom of the unit. Breathing in this dust can cause severe lung problems, including injury, even if it occurs only once. For this reason, treating pediatric asthma with a humidifier is not always recommended. Mold is everywhere. Bacteria is everywhere. It is in the air and it likes to settle onto almost any surface. They have been on our planet for millions of years and will likely be here for millions of years to come. 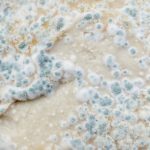 Mold can produce some challenging health symptoms in people who are sensitive to it. If you have a sensitivity to mold, you might experience throat irritation, nasal congestion, coughing, eye irritation, wheezing, or skin irritation. Some people are allergic to mold and their symptoms may become more severe. Serratia marcescens is not your traditional mold, so it will cause different symptoms because it creates an infection instead. There are currently 14 species of bacteria recognized as part of the Serratia genus. Eight of these species are known to cause infections. Common household pink moldis known for causing infections in hospital situations. It may also be involved in up to 50% of urinary tract infections which occur. This pink mold is also the seventh most-common cause of pneumonia in the United States, with an incidence rate of 4.1%. Unless you are being treated with a medical catheter, however, your exposure to pink mold will not usually cause these infections. Although you can breathe in the Serratia marcescens, your immune system will usually get rid of the bacteria without causing any symptoms. For those with compromised immune systems, you may experience lower respiratory tract infection symptoms, wound infection, or meningitis. It is also a rare cause of keratitis and endocarditis. 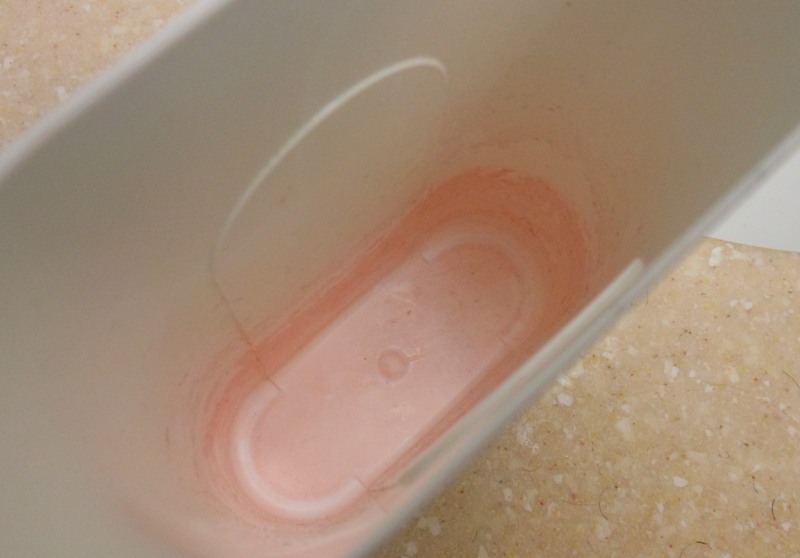 If you have spotted pink mold in your bathroom, then there are three simple methods to kill the Serratia marcescensbacteria. #1. 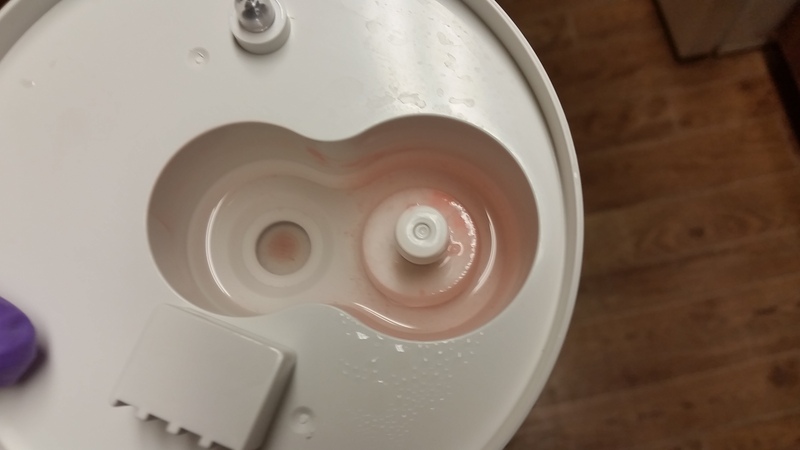 Take a 50/50 solution of vinegar and water, then spray the area affected by the pink mold. You will need to let the product sit for at least 10 minutes to ensure the acids in the vinegar are able to kill the bacteria. #2. Wash affected rugs or your shower curtain in a solution that includes vinegar or a color-safe bleach. You will want to use the heavy cycle on your washing machine, then dry the items using the highest heat setting recommended by the product manufacturer. Some products may require dry cleaning. If neither option is available, you may be able to soak the curtain or rugs in the 50/50 vinegar solution for 15 minutes. #3. Take a scrub brush, remove the pink mold, then wash the affected area. If you prefer something that smells better than vinegar, try using a tea tree oil or a lavender essential oil. You can also add a few drops of these essential oils to your laundry, along with a touch of vinegar, to your fabric softener cycle as an anti-bacterial effect. Lemon juice, lime juice, and grapefruit juice are effective cleaning agents as well. If you use these items, allow the cleaning product to sit for 20 minutes to ensure the bacteria have been neutralized. 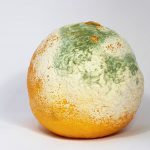 For food products that have been affected by pink mold, the best solution is to throw the food away. 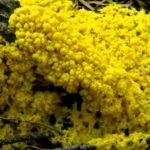 Do not place these food items into your compost, as this will introduce the Serratia marcescensbacteria into your soil. Then thoroughly clean the area where the pink mold was found. If the pink mold was around any unsealed food, you will want to throw those items away as well. You can also use standard disinfectant chemicals that are sold over-the-counter to remove pink mold. Hydrogen peroxide and bleach products are the most useful. Do not use baking soda as a disinfectant. It works more as a deodorizer, so it will not have a positive impact on the pink mold. In the unlikely event that these steps have not helped you get rid of the pink mold, then you may be dealing with one of the other sources of it besides Serratia marcescens. Should this occur, you can use a standard fungicide product to remove the pink mold from the bathroom, kitchen, or other indoor location it was discovered. Because Serratia marcescensare located in the air, your efforts at prevention are more about prolonging its ability to grow rather than eliminating it from your home. If you take a daily shower, then make sure your bathroom is properly ventilated. Turn the fan on before taking a shower. Leave the bathroom fan on for at least 30 minutes after taking the shower to prevent moisture buildup. Try to open the bathroom window to allow more moisture to escape, if possible. If opening the window would violate your privacy, then keep it open for 30 minutes after your shower to discourage the pink mold from settling down to grow. Because the pink mold likes to grow in damp, dark environments with fatty substances to feed on, it is important to clean your tub or shower at least once per week. Use a squeegee to remove any lingering spray and soap scum. You can also use after-shower sprays to prevent the bacteria from growing. If you prefer using DIY methods to clean your bathroom, you can use the 50/50 spray of vinegar and water after you shower or take a bath to prevent pink mold growth. You can also mix a little tea tree oil with water to create an effective after-shower spray. To prevent pink mold growth in the humidifier, wash the components with dish soap and hot water at least once per week. Then use distilled water, not tap water, to reduce the potential for microorganism distribution throughout the home. Then make sure that you keep all carpets out of the bathroom. If you use rugs, then wash them at least once per week. 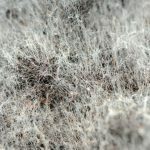 Pink mold may not be a traditional mold like White Mold, Red Mold, Green Mold, or other kind, but it does have similar growth qualities and health concerns. You will want to avoid these bacteria whenever possible. Your best option is to be proactive about not letting it grow. Keep your bathroom clean and dry whenever possible. If you have a dry surface, then Serratia marcescensis unlikely to begin growing. If you discover pink mold, get rid of any food items right away. Then use a disinfectant to clean the area. Wear gloves and a respirator while cleaning to prevent inhaling any of the bacteria. For most people, pink mold is more of an inconvenience than a threat. Keep this guide handy if you encounter pink mold in your home to know what you can do to get rid of it, then prevent it from growing again in the future.